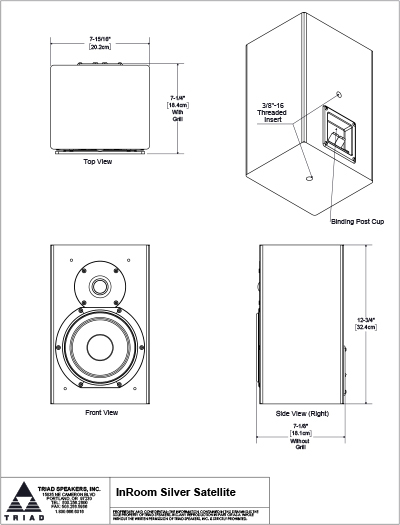 This compact speaker is the perfect choice for full-range distributed audio or as a primary listening speaker in a moderately sized room. It can be used on a shelf, in a bookcase, or on it’s own optional Pedestal. The InRoom Silver Sat can also be ordered in an unlimited array of custom veneer and paint finishes to blend into your environment. 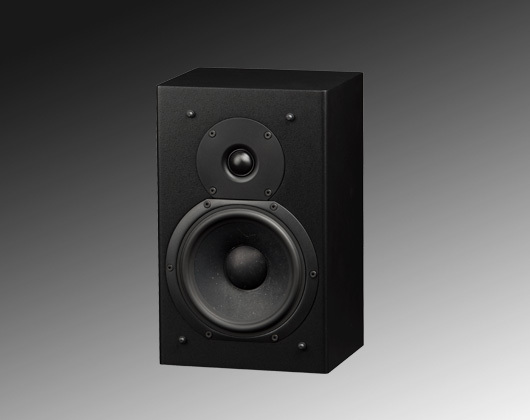 This satellite speaker uses a new tweeter; a 1″ soft dome; and a new 6.5″ woofer is utilized to provide extended bass response for fullness at background listening levels, even without a subwoofer. The InRoom Silver Satellite is an exceptional performer and a solid value.